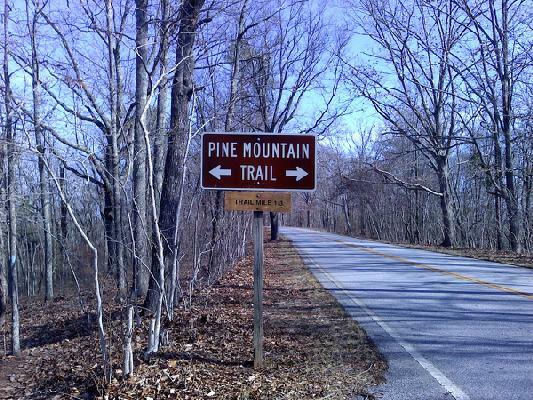 Many times, you don’t need to go far to enjoy a beautiful day on the trail. 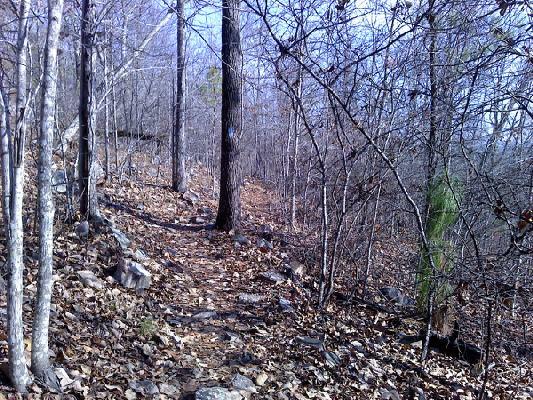 Just yesterday, we completed Overlook Loop Trail on Pine Mountain. The weather was perfect and so was the company. My son and his girlfriend joined me for a refreshing 2 hour jaunt along leafy paths, which meandered through Chestnut Oak forests. Expansive overlooks and breathtaking scenery rewarded our modest effort. The hike was easy to moderate, but mostly easy. We walked 3.4 miles and most of it ran parallel to the Pine Mountain ridge. Most of the terrain surrounding the mountain is flat, so we could see for miles. We visited one campsite positioned in a nice location, next to a small stream. After the hike, we relaxed and ate at the Country Store restaurant. The Brunswick Stew is delicious and so are the biscuits served with muscadine jelly. A few miles down the road, we stopped at Dowdell Knob, one of the greatest overlooks. This was President Roosevelt’s favorite location along the mountain ridge. Roosevelt came to this area to enjoy the mineral springs as treatment for his polio related paralysis. For years, I’ve come back to this wonderful park and hiked several sections. One day, I hope to backpack the entire 23 miles. I thank God for places like Pine Mountain where I can reflect on Him and enjoy His creation. And I made more memories with my son. Thank you God! What about you? Where have you been outdoors lately, and what do you enjoy about the outdoors? This entry was posted in Outdoor Travel and tagged God, hike, hiking, hiking trails, parks. Bookmark the permalink.